Door Stops protect your walls. Shop for your Door Stops here today. 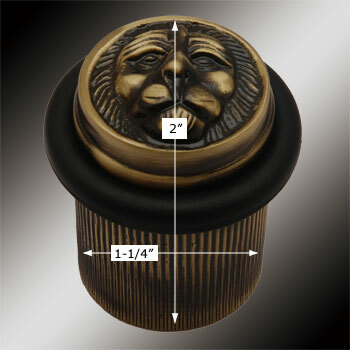 Door Bumpers: Our Lion's Den door bumper is elegantly designed with period details. 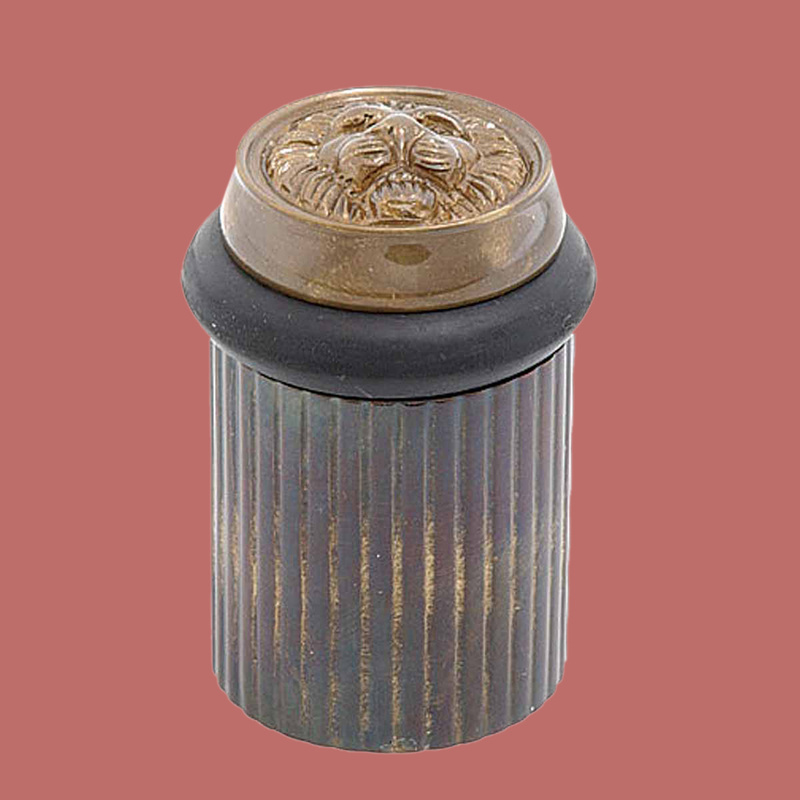 Solid brass construction with a beautiful ANTIQUE BRASS finish. CONCEALED center screw simply unscrew the top to insert the screw! No more unsightly screws. Easy floor mount installation includes anchoring center screw. Extra sturdy black bumper prevents damage to your door. Measures 2 in. H.
It's a shame it has to hide behind a door. I would have have give 5 stars but the screw snapped while screwing in and I predrilled specifically so that wouldn't happen. For my aggravation I can only give 4 stars. Otherwise this thing is pretty nice. Solid and heavy and if the door is open will definitely start a conversation. 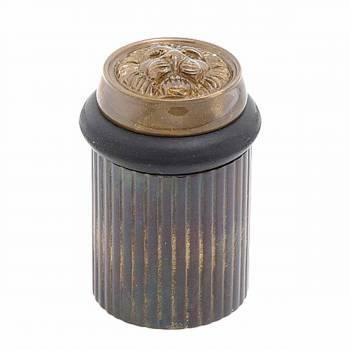 This solved a problem of having growing family with teens, guests, large dogs actually LIVING in 100-year-old house: beautiful old doorknob crashing into plaster wall. And it actually made the room a bit more interesting. I hesitated because of the price, but have long since forgotten it. 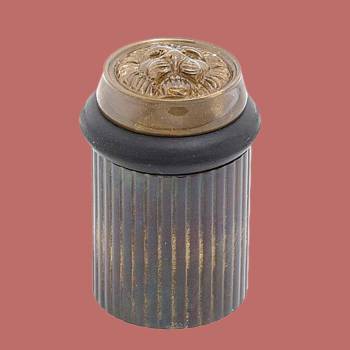 I DO remember that I thought about ordering one for every room, not just the problem spot, but the cost held me back.